Norton Internet Security is a great program which protect your computer against viruses and spam. However Remote Norton Internet Security won’t allow connections through port 3389 unless we do some settings. Here is the instruction to let you know how to change the settings in Norton Internet Security to allow connections through port 3389 by creating a new firewall rule in the software. 1. 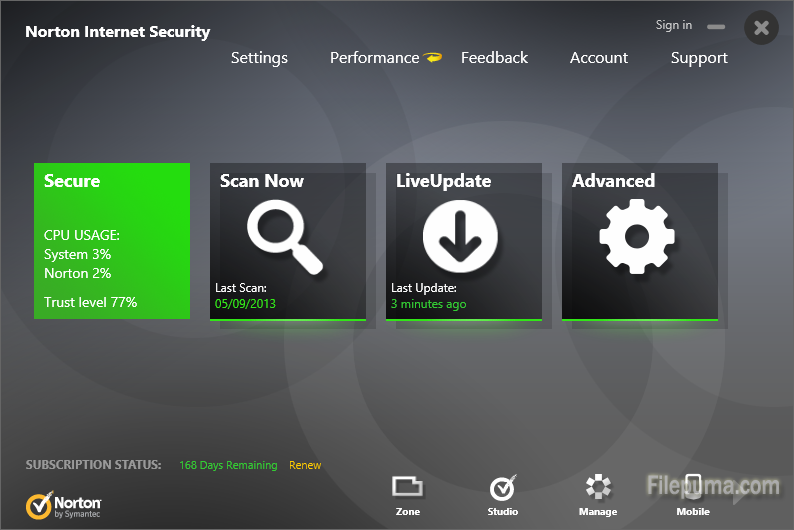 Open Norton Internet Security, go to “Norton Internet Security” and choose “Settings” option. 2. Click on “Personal Firewall”—-”Configure”—-”Personal Firewall” options. 3. Select the “Advanced Settings” option, and then click “Configure” —- “Add” buttons, and then select the rule to allow a program through a port. 4. Go to “Next” and click “Internet”, go to “Next” and select “TCP” as the protocol and then enter “3389″ as the port. 5. Click “Next” “”Next”, name the rule and then finish the setting process.